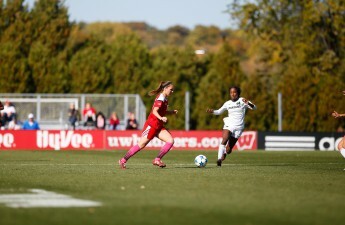 The University of Wisconsin women’s soccer team traveled to Michigan this weekend to take on the University of Michigan and Michigan State University, going 1-0-1 with a close 1-1 tie to Michigan and a 1-0 win over Michigan State. Despite only two goals on offense, the Badger’s defense stepped up to the plate and allowed only a single goal all weekend. Veteran offense helped the Badgers (7-4-6, 4-2-3 Big Ten) this weekend starting against the Wolverines (9-3-3, 5-2-2 Big Ten) as senior midfielder Rose Lavelle gave Wisconsin an early lead in Ann Arbor. The goal came in the 20th minute when Lavelle received a corner kick from fellow senior midfielder Micaela Powers and delivered a low shot that found the back of the net. The goal was Lavelle’s third of the season and Powers’ fifth assist. The Wolverines were held in check for the majority of the game and only recorded one shot on goal, but it proved to be costly as the Wolverines delivered the equalizer in the 42nd minute, courtesy of Nicky Waldeck on a header off of a pass from 40 yards out. Looking at the stat sheet, Wisconsin outplayed the 25th ranked Michigan, outshooting them 21-9 and bested the Wolverines in shots on goal 8-1. 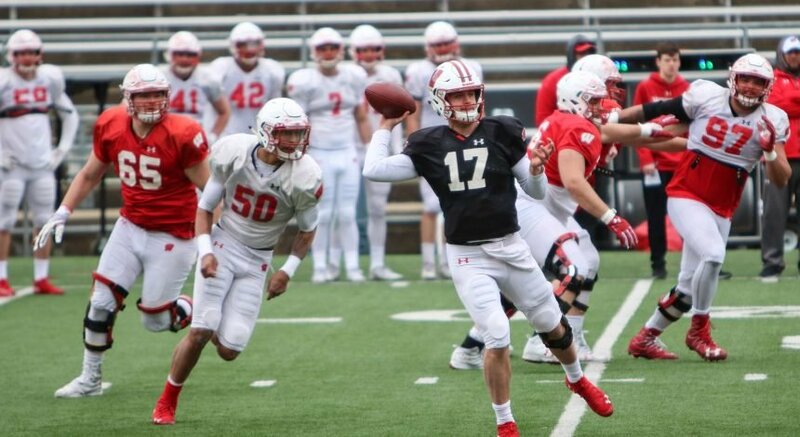 The Badgers had a couple opportunities to grab the lead at the end of regulation and win the game in overtime, but they were unable to capitalize. With less than two minutes left in the second overtime, junior forward Sydney McGinnis took a shot that Wolverine goalkeeper Sarah Jackson grazed just enough to redirect it wide of the goal. The save counted as one of seven for Jackson while Wisconsin’s goalkeeper Caitlyn Clem faced only one shot that proved to be Michigan’s only goal. 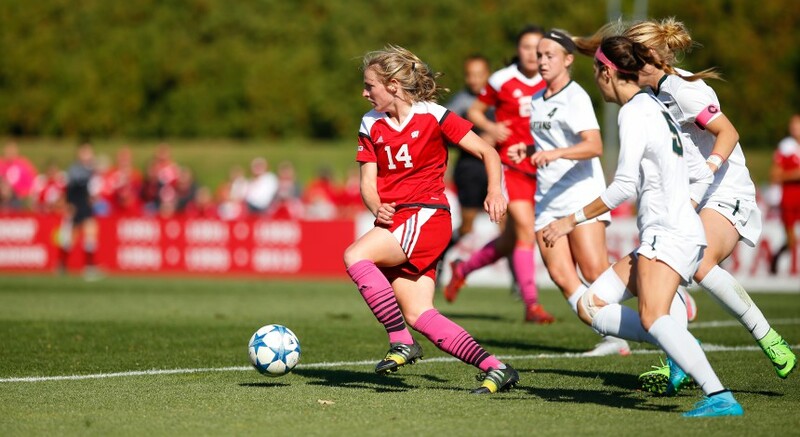 With the tie, Wisconsin notched their seventh overtime game and sixth tie of the season. The Badgers have never lost an overtime match, but they have only one overtime win, going 1-0-6 in those games. Momentum from the near upset carried over to East Lansing where Wisconsin took care of the Spartans (5-10-1, 2-7-0 Big Ten), besting them 1-0. It did not take long for the game’s first and only goal to occur. The game-winner came just 22 seconds into the game when Powers took a pass from sophomore forward Emily Borgmann and fired a missile to the top left corner. The goal served as Power’s fourth of the year, which is tied with Borgmann for the most on the team. Wisconsin’s defense was busier in this game but was up for the task. Clem tallied four saves, which helped her earn her seventh shutout of the season. The Badgers remained aggressive over the weekend and continued the trend of outshooting their opponents. In 17 games, Wisconsin has outshot their opponents 262-147. The two goals over the weekend improved UW’s goal differential on the season to five more than their opponents, an impressive development in recent weeks. The Badgers will now head to take on the University of Illinois Oct. 22 for the last game in this road trip before returning home to face Rutgers University for the final game of the regular season. Action will start in Champaign at 7 p.m. Saturday.